Logging in. 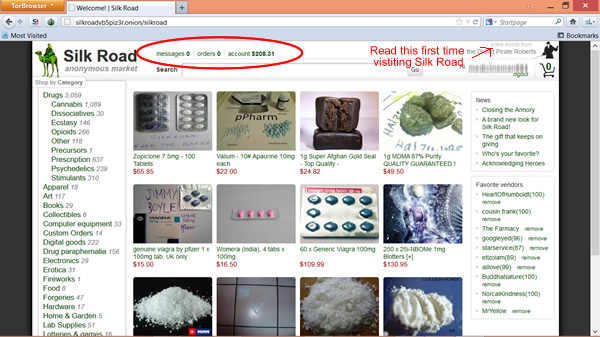 When you first login to the Silk Road you will see the following screen. On the left sidebar you can browse through all the categories. On the top (circled) you can see if you have any private messages, any orders in process and how much your Silk Road wallet contains (it will be $0 at first..we will add money to it in a bit). I also highly suggest reading the message from the Dread Pirate Roberts (who runs the site) in the top right corner. 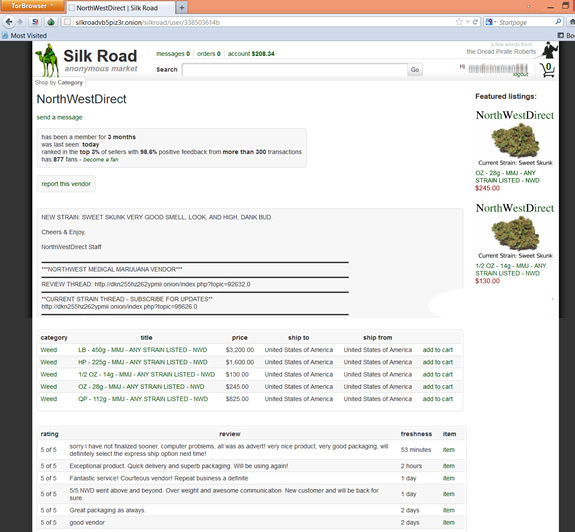 Click on the vendors name and you’ll find out more about them in the vendor page (shown below). Right under their name you will see their vital stats: how many transactions they’ve had and what percentage positive feedback. You can “become a fan” of a vendor and they will then show up whenever you first login. 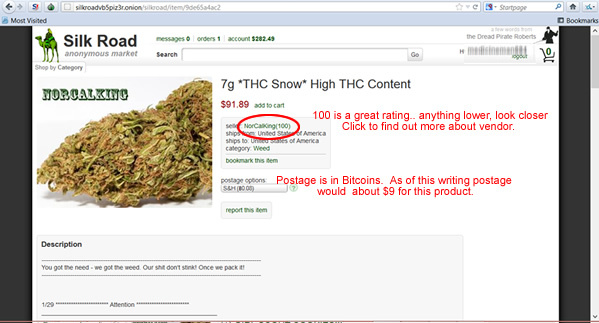 Be sure to read the vendor description carefully. In certain cases they may require you to “finalize early” (release escrow before you get the product) or have other instructions for you. This is important information to read before you order! Below this you will find their listings as well as reviews from previous customers. Ready to order? Let’s go to part #3: How to Order!